Funken, Germany, recently adapted an innovative packaging system solution, developed by Hefestus, Israel, to overcome the challenges of its fresh cut salads' shelf-life. Short shelf life of fresh cut salads is a major challenge for manufacturers and retailers alike, who want to provide a fresh salad to the consumers without the fear it might get spoiled or damaged. 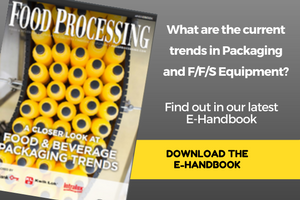 The Hefestus team has conducted several trials to adapt its packaging system to Funken's specific demands. SLB “Shelf Life Booster,” Hefestus’s proprietary packaging technology, enables Funken not only to increase its salads shelf life, but also to maintain the delicate texture and freshness of the vegetables. It also dramatically decreased the time required to pack the fresh cut salads as an outcome of moving from a manual packaging machine to an automatic packaging system.